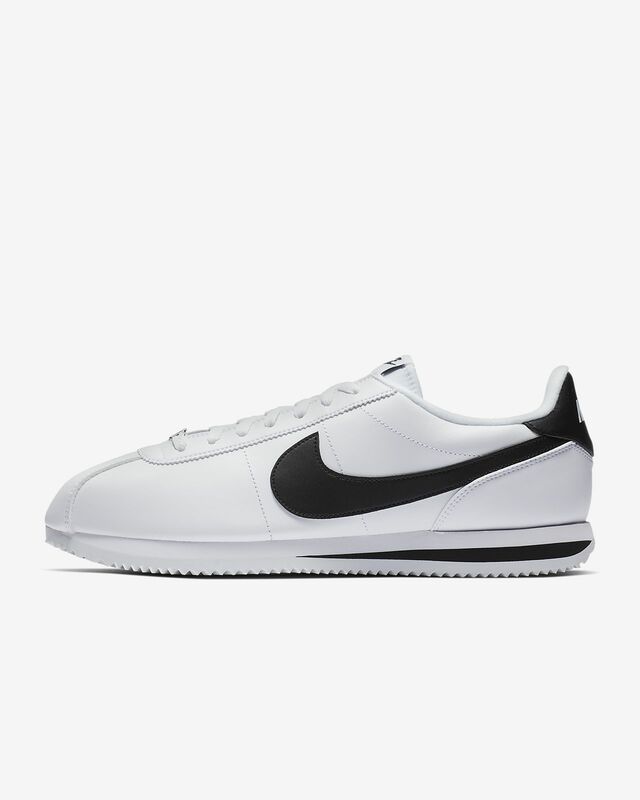 The Nike Cortez Basic Men's Shoe is an updated version of Bill Bowerman's 1972 running classic. It features a heel that's slightly wider and higher than the original, plus a lace dubrae and modified design lines. This version features a leather and synthetic leather construction for added durability. 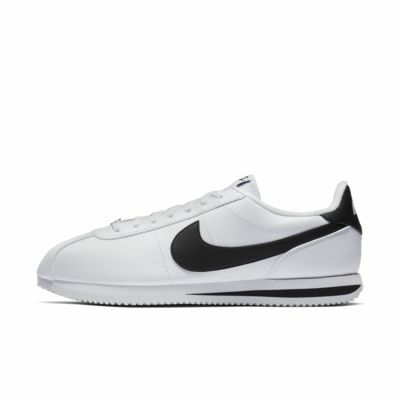 The Nike Cortez Basic Men&apos;s Shoe is an updated version of Bill Bowerman&apos;s 1972 running classic. It features a heel that&apos;s slightly wider and higher than the original, plus a lace dubrae and modified design lines. This version features a leather and synthetic leather construction for added durability. These are great everyday walking around shoes. I am a woman and bought the men’s style which is great for a wider foot.